If you have decided to file for divorce in Charleston, you know that it is a decision that hasn’t come easy. Now that you have decided to file for divorce, it is important to get proper counsel. Lauren Taylor – Charleston divorce lawyer, offers invaluable counsel for anyone going through a divorce. If you know that your marriage is over, be sure to talk Charleston family law attorney, Lauren Taylor. Qualified Charleston divorce lawyer that focuses in family law and divorce specifically; an attorney can tell you about your rights and options. If you’re about to file for divorce, you need to know what to expect and what you have a right to request. You probably have a lot of questions, and an attorney can answer them for you. Call Charleston divorce lawyer Lauren Taylor today at (843) 427-0444. To initiate the divorce process, one of the spouses will file a legal document called a Summons and Complaint; usually, it’s best to have a family law attorney prepare this document, so you may need to hire an attorney as soon as you decide to file for divorce. By choosing an experienced Charleston divorce lawyer like Lauren Taylor at Lauren Taylor Law you will get her experience on your side. The court will consider many elements of both spouses lives in a divorce; the above is by no means exhaustive, and you should talk to an attorney to find out more about all of the specific details that may impact your divorce. 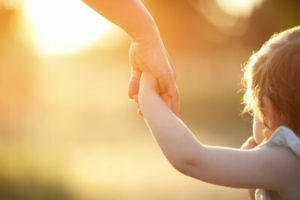 Although an extramarital affair may have contributed to the breakup of the marriage, that in and of itself is not sufficient reason for that spouse not to have child custody. Remember that the court is trying to do what’s in the child’s best interest, and parents should focus on their child’s overall well-being rather than trying to mentally and emotionally injure their former spouse. A court can also order a visitation schedule if the parents are unable to come to an agreement on their own. Any parent that violates a family court order intentionally faces contempt of court. South Carolina, like many other states, use a formula to determine a suggested amount of child support one parent should pay the other. The formula takes into consideration multiple elements that play into the final amount of ordered support, including the parents’ incomes, the children from the marriage as well as children from other relationships, and other needs, such as daycare costs. As previously stated, the court determines an order for alimony based on several factors. They’re similar to those considered when dividing debts and assets upon commencement of a divorce. Please note that the spouse who committed adultery is not eligible to receive alimony. A child support order and an order for alimony can both be modified. A change of order should be filed when a spouse’s financial circumstances change – for better or for worse. In South Carolina, courts may order different kinds of alimony. This is depending on your particular situation. Sometimes the option for permanent alimony is selected to be paid over a period of time. It will end if either the spouse dies or remarries. There is also a lump sum alimony, which can be paid in one or multiple payments. It cannot be modified. Two forms of alimony include rehabilitative alimony and reimbursement alimony. Call a Charleston Family Law Attorney Today! Don’t travel this challenging path on your own. You should have someone by your side to support you. Furthermore, they should help you make informed decisions for you and your family’s future. Call Charleston divorce lawyer Lauren Taylor in at (843) 427-0444 today! Lauren Taylor and her staff are magnificent. After six years of painful litigation with multiple attorneys, Lauren was able to strategize and force a settlement. A true professional. As a father fighting for custody of my twins, Lauren was able to get me full custody and bring safety and stability to my children. She’s legit. She’s devoted. She is the right lawyer. Stop scrolling and call her. It’ll be the right choice. What Effects Do the New Tax Laws Have on Divorce?